Claim 45 recited that the inhibitor comprises ramipril. Although the Examiner had found inherent anticipation based on four references, the panel only relied on a paper describing the planned “HOPE study,” which was to be a large scale trial of ramipril and Vitamin E “which describe[s] the administration ramipril to subjects at risk of stroke.” The two judge majority (Prost, Dyk) noted that the results of the trial indicated that the risk of stroke was, in fact, reduced, but that the results were published after the effective filing date of Montgomery’s application and so were “irrelevant to an anticipated analysis.” Slip op. at 5. In interpreting the claims, the majority wrote that “[w]e are skeptical that a proper interpretation of the claims would require an efficacy requirement,” citing Bristol-Myers Squibb Co. v. Ben-Venue Labs., Inc. 246 Fed. 1371 (Fed. Cir. 2001). In the main claim in Bristol-Myers, the result (“a method for…”) was also only recited in the preamble, and so was held to “merely express a purpose [to be achieved].” But if a method of treatment claim, properly construed, does not meet the efficacy requirement, has it been construed so as to preserve its validity under s. 101? The panel left this as dicta, but it underscores the importance of reciting the result achieved by a claim to a medical treatment in the body of the claim. In my opinion, these statements set up, if not set off, Judge Lourie’s dissent, which could be a textbook chapter on inherent anticipation. Judge Lourie dissented from the denying of rehearing en banc in Schering Corp. v Geneva Pharm., Inc., which he cites early in the dissent, and argues: “An unbounded concept of inherency, as Schering illustrates, threatens to stymie innovation by withdrawing from the realm of patentability that which has not before been known, used or benefited from. Properly understood, anticipation by inherency is far more limited…I believe that the majority has found inherency where it does not exist.” Slip op. dissent at page 2. This is a fine point, because the majority made it clear that a description of a method need not be carried out in fact, but only enable, the claimed result, in order to anticipate it. I think what Judge Lourie is saying – and he says it more than once—is that “[i]n the unpredictable arts, rarely, if ever will an untested [not actually carried out ] proposal necessitating further study and optimization [like a clinical trial protocol] meet the stringent standard of inherent anticipation.” Slip op. at 3, dissent. 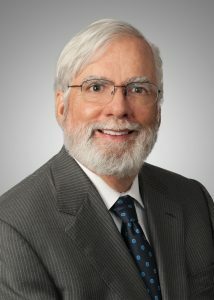 In other words, he is finding enough unpredictability in the HOPE trial to rule that it fails the standard that “inherency must be certain,” even though one of the goals of the trial was to investigate the effects of the drug on stroke and, in fact, the eventual conclusion was that it did lessen the chance of stroke. Lourie’s reasoning makes sense in cases in which the prior art process (a) had not yet been carried out and (b) where the results which form the basis of the claim would not occur with absolute certainty, were the process to have been carried out. The level of uncertainty, e.g., in the results of a clinical trial, destroys the required predictability of the outcome which must be more than “reasonably predictable,” e.g. a la Wands, but must be inevitable. This entry was posted in Anticipation and tagged biotechnology, biotechnology law, biotechnology news, Federal Circuit, in re Montgomery, intellectual property, ip, Patent Law, patents, Pharmaceutical law, Warren Woessner. Bookmark the permalink.